We all know that Mary Shelley is the author of Frankenstein, a phenomenal work of Gothic horror. But did you know that the gory details of Mary Shelley’s life itself read better than any novel? 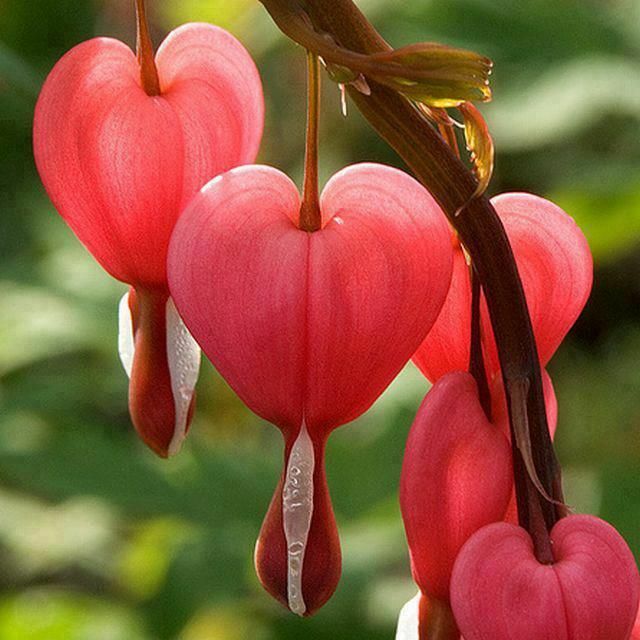 Perhaps the strangest fact of all is that she kept her dead husband’s heart as a keepsake, carrying it with her and storing it in her drawer until her own death in 1851! In honor of Valentine’s Day and my February Women in Horror Series, I would be remiss if I did not include the strange, romantic and horrific life of Mary Shelley. In her short lifetime, Mary Godwin Shelley saw a great deal of death: her mother, three of her own children, her half sister Fanny Imlay, her husband Percy Shelley, her step-mother, her father and father-in-law. It comes as no surprise that the woman who experienced a cavalcade of grim reapers became obsessed with resurrecting and recreating life. Her character, mad scientist Victor Frankenstein, was the embodiment of this obsession. Mary Godwin’s mother, Mary Wollstonecraft was an early feminist and free thinker. She is best known for her work A Vindication of the Rights of Woman (1792). Wollstonecraft argued that women, given the proper education, were “intellectually equivalent” to men – a “radical” idea for the times. Mary Wollstonecraft died of a post partum infection when daughter Mary was less than a month old. Little Mary’s father, William Godwin, a political activist and publisher, raised her along with her half sister Fanny Imlay – a child from another of Mary Wollstonecraft’s relationships. Godwin took a new wife – one Mary Jane Clairmont – who had two children of her own, Claire and Charles. The family set up housekeeping in London where William opened a publishing company that eventually went bankrupt. Young Mary was given a somewhat radical education by her free-thinking father. When she was just seventeen, she became acquainted with the poet Percy Bysse Shelley – a friend and “political disciple” of William Godwin. Percy was twenty-two. Percy and Mary fell deeply in love. The only problem was, Percy was already married. His wife was a woman named Harriet Westbrook – with whom he had eloped when she was just sixteen and he nineteen – much to the dismay of Percy’s aristocratic family. They subsequently cut him off from his inheritance, although Percy loved to flaunt his wealthy roots and often claimed that large sums of money would eventually be his. Percy and Harriet had one child, and to make matters worse, Harriet was pregnant! Nonetheless, Mary and Percy began having secret meetings in – of all great Gothic places — Saint Pancras Cemetery where Mary’s mother was buried! The two made love for the first time in the cemetery. Mary lost her virginity to Percy. After that, forget it. Mary was ruined. RUINED, I tell you!!!! Call in the National Guard! Mary was now a social pariah, a leper among women!! (I am only being slightly sarcastic here. Remember, in Victorian times, virginity was a big deal. No way in hell could Mary get away with this!) Even the so-called liberal thinking and politically radical William Godwin disapproved of their relationship. The only sensible thing to do was run away. And so, Mary and Percy ran away to France. They took Mary’s step-sister Claire (daughter of her step-mother Mary Jane Clairmont) along with them. According to Percy, this was because Claire was “the only one among them who could speak French.” However, Claire and Percy reportedly had many “excursions” together, and historians believe the two were lovers as well. Furthermore, older sister Fanny Imlay who was left behind, also expressed having feelings for Percy. He may have been three timing the sisters. Of course, Percy’s pregnant wife Harriet also got left behind. Mary, Claire and Percy traveled together throughout France and Switzerland until, being broke and destitute, they could no longer survive. They then returned to England. Mary was pregnant. Mary’s father – apparently growing more traditional by the minute – still disapproved of their relationship and refused to take them in. The baby was born premature and died shortly after. Mary became pregnant again and in 1816 gave birth to a son, named William. That same year, Mary, Percy, little William and Claire all traveled back to Switzerland. Soon after they were joined by Percy’s friends, the poet Lord Byron and physician John William Polidori. It was a meeting of the minds. There, in Geneva, the group passed one of the coldest summers ever by telling ghost stories around the fire and challenging each other to write horror. It was one of these challenges that led 18 year old Mary to write her masterpiece Frankenstein. Mary became pregnant again and gave birth to a daughter – but both children would be dead within two years. In the meantime, Mary completed Frankenstein and had it first published anonymously in 1818. The couple returned to England in September, 1816. They settled in Bath with Claire Clairmont – who was now (ironically) pregnant with Lord Byron’s child. Mary then received a letter from her half-sister, Fanny Imlay, who alluded to her “unhappy life”. The letter was apparently so alarming that, on October 9, Percy took it upon himself to go looking for Fanny, worried about her state of mind. He never found her. On the morning of October 10, Fanny Imlay was found dead in a room at an inn in Swansea, Wales. She left a suicide note and an empty bottle of laudanum. Fanny was not the only suicide that year. On December 10, Percy Shelley’s wife, Harriet, was discovered drowned in the Serpentine, a lake in Hyde Park, London. It seems the two women who got left behind decided to leave forever. Both suicides were hushed up, as suicide in Victorian times was illegal, considered disgraceful, and brought great shame to the families. Percy, for his part, tried to gain custody of his two children by Harriet. His lawyers told him it would be a good idea for him to take a wife, so he finally married Mary on December 30, 1816 at St Mildred’s Church in London. Although Harriet’s family gained custody of their children, the couple remained in London and attempted their new married life. It was not long before Percy’s debt collectors came calling. 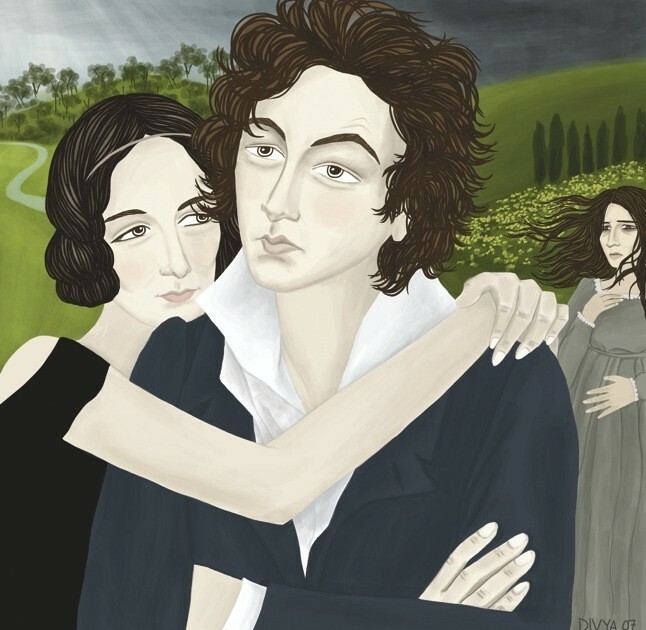 The couple left England again, this time bound for Italy, with Claire and her new born daughter Allegra (the child of Lord Byron, who would later claim her) in tow. In Italy, Mary’s two children developed malaria and died. On November 12, 1819, Mary gave birth to her fourth child, Percy Florence, the only one who would survive to adulthood. Mary became pregnant again in 1822. She suffered a miscarriage and almost bled to death. Percy, too distraught to call a doctor, put Mary in a tub of ice water to staunch the bleeding. It was later agreed that he had saved his wife’s life. That same year, Percy Shelly set out on a sailing adventure from which he would never return. On July 1, 1822, Percy Shelley, Edward Ellerker Williams, and Captain Daniel Roberts sailed south down the coast to Livorno. On July 8, he and Edward Williams set out on the return journey to Lerici — minus the captain — but with an eighteen-year-old boatboy, Charles Vivian. They were detained by a storm and lost at sea. Ten days later, three bodies washed up on the coast near Viareggio, midway between Livorno and Lerici. Percy Shelley’s body was only identifiable by his clothing and a book of John Keats’ poetry that he had stashed away in his pocket. It was decided that Percy’s body would be cremated on the beach at Viareggio. However, something bizarre happened. His heart would not burn. Before we get too carried away with supernatural implications, it is only fair to say that modern-day physicians believe the heart may have calcified due to an earlier bout with tuberculosis – thus rendering it inflammable. 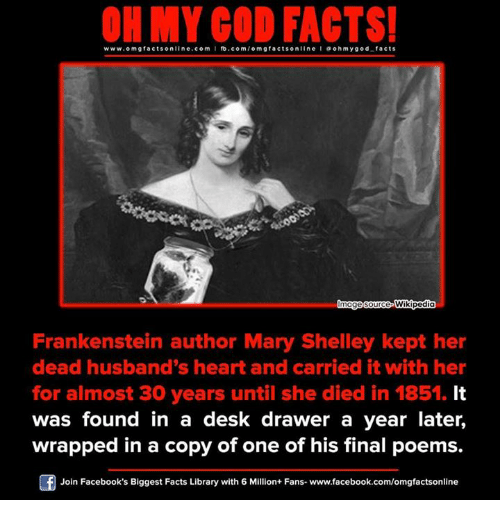 Whatever the reason, Mary Shelley decided to save and preserve her husband’s heart. Mary kept the heart as a prized possession, wrapping it a silken shroud. She is said to have carried it with her everywhere. In 1852, a year after she died, Percy’s heart was found in Mary’s desk. It was wrapped in the pages of one of his last poems, Adonais – a tribute to John Keats. Interesting aside — when Rolling Stones musician Brian Jones died in 1969 by drowning in his own swimming pool, it was the poem Adonais that Mick Jagger chose to read at his memorial service. Another interesting aside: Brian Jones died of drowning. Harriet Shelley died of drowning. Percy Shelley died of drowning. Harriet died in a lake in Hyde Park. 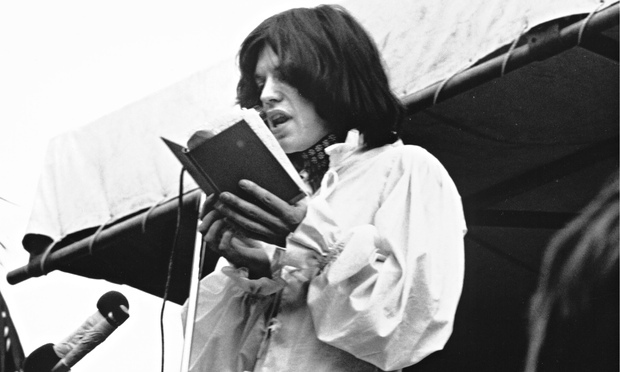 Brian Jones’ Memorial Service was held in Hyde Park. See how that works? I suspect Mick saw some significance in this. The entire poem can be read HERE. Although Mary is most remembered for Frankenstein, it was by no means the full extent of her writing career. After the death of Percy, Mary was active as a writer and editor. She wrote the novels The Fortunes of Perkin Warbeck (1830), Lodore (1835), and Falkner (1837). She contributed five volumes of Lives of Italian, Spanish, Portuguese, and French authors to Lardner’s Cabinet Cyclopaedia. She wrote short stories, including sixteen for The Keepsake. She also championed Percy Shelley’s poetry, promoting its publication and quoting it in her writing. By 1837, Percy’s works were well-known and increasingly admired. Believe it or not, in 1830, financially strapped, Mary sold the copyright for a new edition of Frankenstein for only £60! In the summer of 1838 Edward Moxon (the publisher of Tennyson and the son-in-law of Charles Lamb) proposed publishing the collected works of Percy Shelley. Mary was paid £500 to edit the collection, called Poetical Works (1838). Mary Shelley’s last years were blighted by illness. From 1839, she suffered from headaches and bouts of paralysis in parts of her body. On February 1, 1851, at Chester Square, she died at the young age of fifty-three from a brain tumor. Her son and daughter in law had her buried at St Peter’s Church in Bournemouth, although Mary’s request was to be buried at Saint Pancras near her mother. (She obviously had fond memories of the place.) However, Mary’s daughter in law, Jane Shelley, had decided that by then Saint Pancras was simply “too dreadful” a place to bury her. On the first anniversary of Mary Shelley’s death, Percy Florence and Jane decided to open Mary’s box-desk. Inside they found locks of her dead children’s hair, a notebook she had shared with Percy Bysshe Shelley, and, of course, the tell-tale heart!